The sun is shining, temperatures are soaring. We barely remember what rain is. BBQs have sold out. There are rumours of hosepipe bans across the UK. Enjoy the uncharacteristically hot weather whilst it lasts though. Come December we’re sure you won’t be bragging so much about being able to work outside. But until then, we wanted to offer you some handy tips and advice, to ensure you stay safe whilst working in the blazing sun. Working outdoors means you are more likely to be exposed to large amounts of harmful UVA and UVB rays. The former penetrates deep into the skin and leads to premature ageing, whilst the latter burns the upper layers of the skin. Prolonged exposure to both can significantly increase your chances of developing skin cancer. Yet according to SHP Online, the UK’s leading website for health and safety professionals, only two-thirds of outdoor workers—including roofers, landscapers, electricians, builders and gardeners—don’t realise they are at risk of getting skin cancer whilst at work. And although 90% of workers use sun cream on holiday, only 59% use it at work. Fair or freckled skin that doesn’t tan, or goes red or burns before it tans. Red or fair hair and light coloured eyes. People of all skin colours should take care to avoid damage to the eyes, as well as overheating and dehydration during extreme conditions. And remember, you can still receive significant sun exposure whilst sitting in a vehicle. Most glass used for windows blocks UVB rays but not UVA—meaning drivers are also at risk. It is therefore recommended that you use sun protection when UV levels are high, even if you will be spending most of your time in your van. Even if you are not categorised as ‘at risk’, you should still be careful when working outdoors during summer, particularly around midday when the sun is strongest. Cover up as much as possible and avoid taking your top off, even if your skin tans easily. Wear a hat with a wide brim or flap that covers your ears and the back of your neck—a safety helmet will also provide some shade for your head. Try to work and take your breaks in the shade whenever possible, especially at lunchtime—this will reduce the risk of harming your skin and help to keep you cool. Use a high factor sun cream of at least SPF15 on any exposed skin and reapply frequently—water-resistant creams hold up better when sweating, whilst spray formulas are handy for top-up applications throughout the day. And finally, check your skin regularly for any unusual moles or spots. You should see a doctor promptly if you find anything that is changing in shape, size or colour, itching or bleeding. The Management of Health and Work Regulations require employers to conduct a suitable assessment of the risks to the health of their employees—for example, the risks associated with UV exposure. 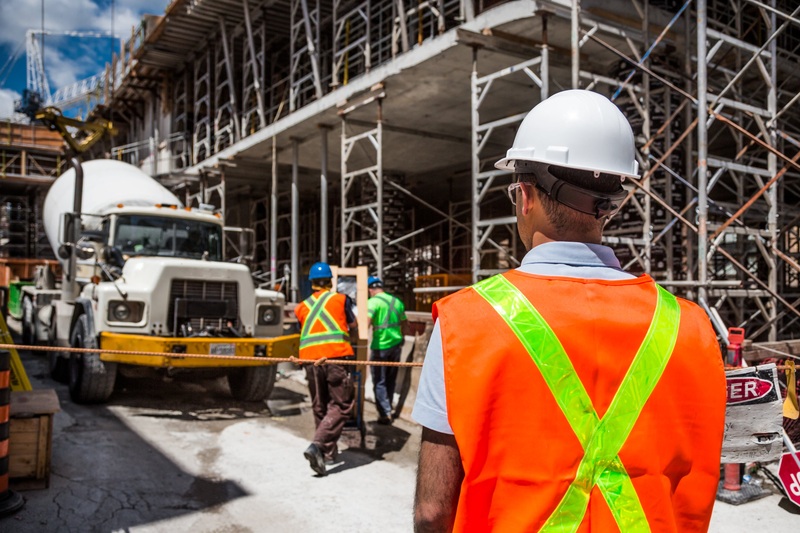 The law also states that an employer has to remove any risk or look at other ways of preventing or reducing exposure if that is not possible. This includes supplying protective equipment or clothing, if necessary. Organising work in summer so tasks which require employees to be outside can be done either in the mornings, late afternoon or on cloudy days. Providing canopies, sheeting or similar covering over open areas such as building sites—shaded areas should also be provided for breaks. Providing information and guidance on avoiding exposure to harmful UV rays, both as part of the employee’s induction and on an on-going basis. Ensuring any protective clothing is lightweight, long-sleeved and comfortable—but at the same time dense enough to prevent UV rays from getting through. Providing lightweight brimmed hats for all outdoor workers. Encouraging workers to reapply sun protection frequently and providing dispensers with sun cream for employees to use. More information on sun protection is available on Cancer Research UK’s SunSmart website: www.sunsmart.org.uk. At Real Deals for You, we want to ensure you stay safe whilst working this summer. And we, of course, also want to help you SAVE money on top-quality tools! So don’t forget to check out your local Real Deals for You Approved Stockist for the best offers from world-class brands.